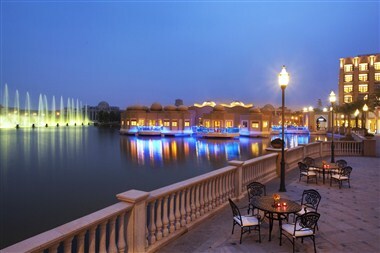 Sheraton Qingyuan Lion Lake Resort has a very unique Arabian Style designed, located perfectly beside the beautiful Lion Lake where is just 7km from downtown Qingyuan and approximately 55km (50mins) from the Guangzhou Baiyun International Airport. 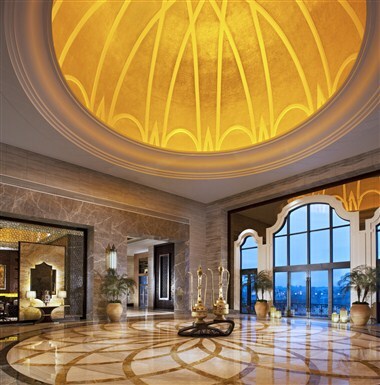 Sheraton Qingyuan has combined Arabic architectural and its culture, the legendary "Aladdin and the Magic Lamp" is the main inspiration of its design narrative . 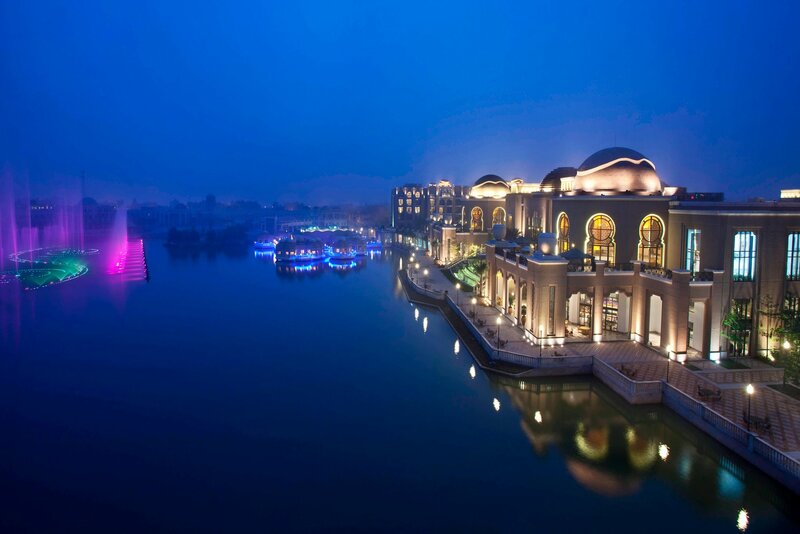 The characteristics of Arabia arch dome, arabic boutique windows, lamps, metal grille and other art pieces will bring you back into the mystery world of Arabian Nights. The ‘Arabian Nights’ elements features have been impenetrate every corner of the hotel, e.g. 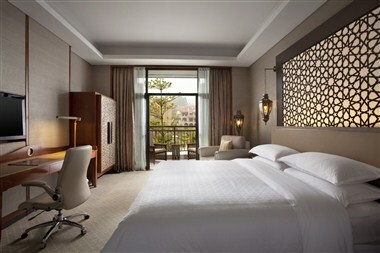 349 spacious guest rooms, Feast, YUE Chinese restaurant & Bene Italian kitchen. A traditional warm Arabian welcome is a guarantee for our prestige guests while coming into the gate of Arabian Palace. 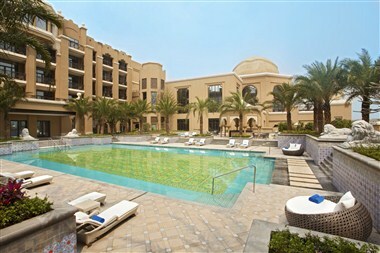 Hotel has 16 meeting rooms, nearly 20000 square meters of exhibition center would be your best choice. 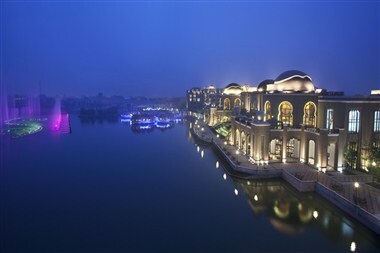 1800 square meters astylar large banquet hall, front door width up to 2.2M and could enter cars. It is suitable for company annual meeting, customer appreciation meeting and auto industry new car conference.